...... It'll store the information about clients, such as their address, telephone, email and comments. Available is an automatic search and auto-field filling for a client, who has already been entered to the database. You can view the information about payments, daily income for any day at any moment when you need it. For those people, who work in Microsoft Outlook, it's possible to synch data. This modern and extremely handy program makes management a real pleasure. It allows any specialist to create a profile to run a personal schedule. 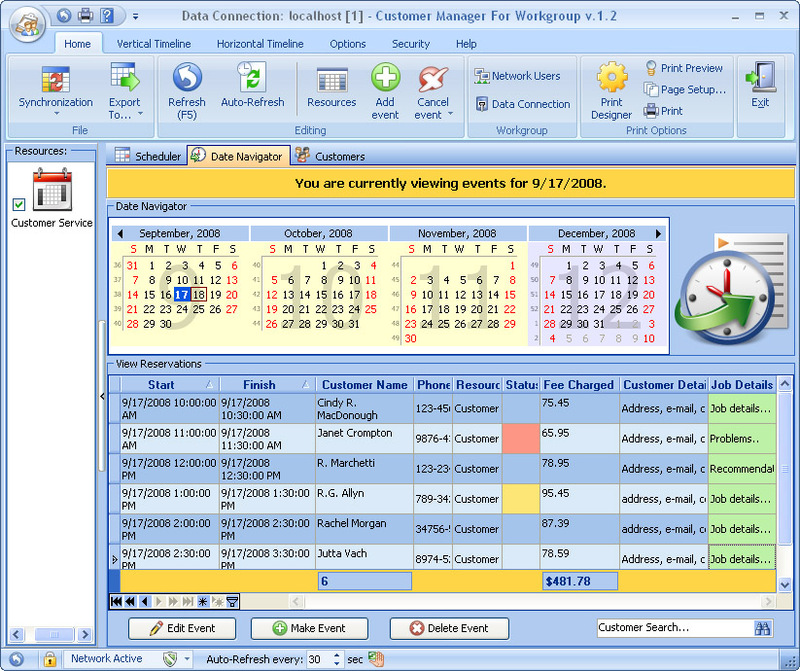 Customer Manager for Workgroup enables users to switch between profiles to view the schedule of any staff member, it is also possible to view multiple profiles simultaneously or open the schedules of several specialists at the same time. Qweas is providing links to Customer Manager for Workgroup 3.1 as a courtesy, and makes no representations regarding Customer Manager for Workgroup or any other applications or any information related thereto. Any questions, complaints or claims regarding this application Customer Manager for Workgroup 3.1 must be directed to the appropriate software vendor. You may click the publisher link of Customer Manager for Workgroup on the top of this page to get more details about the vendor.